Cadgwith Cove was not a destination on our radar. Clare and I had finished visiting the Eden Project and we were trying to find somewhere to have dinner before watching the sunset at Lizard Point. As we drove on the B roads, we scoured the web for recommendations and came across the Cadgwith Cove Inn. The promise of fresh sea food chowder sourced from the daily catch was enough to convince us. After our meal, we strolled along the beach, up the rocky outcrop, and to the adjacent inlet. It was at this point I bumped into a local who was putting on new decals on a boat. I asked him what time the fishermen go out in the mornings and he replied, "It depends, but normally between five and six". 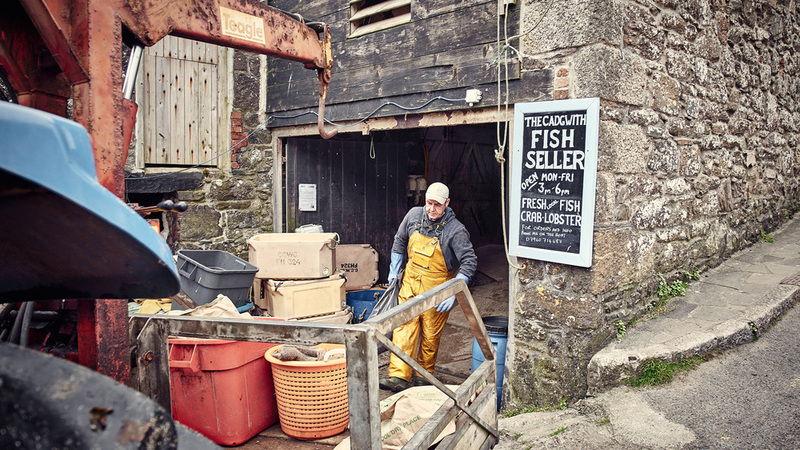 I had decided to come back before leaving Cornwall, the hope was to get pictures of the fishermen as they set about their work. I was determined to get there before the first boat departed. This meant waking up at four-thirty in the morning and driving thirty or so minutes from Penzance. When I arrived the village was peacefully silent. The only sounds were the sea birds cawing and the waves lapping on the beach. Luckily it wasn't too long until Martin Mitchell came along. I asked if I could follow him around as he worked. "Yes," he answered gruffly, "just so long as you stay out of my way, I've got a lot of work to do." 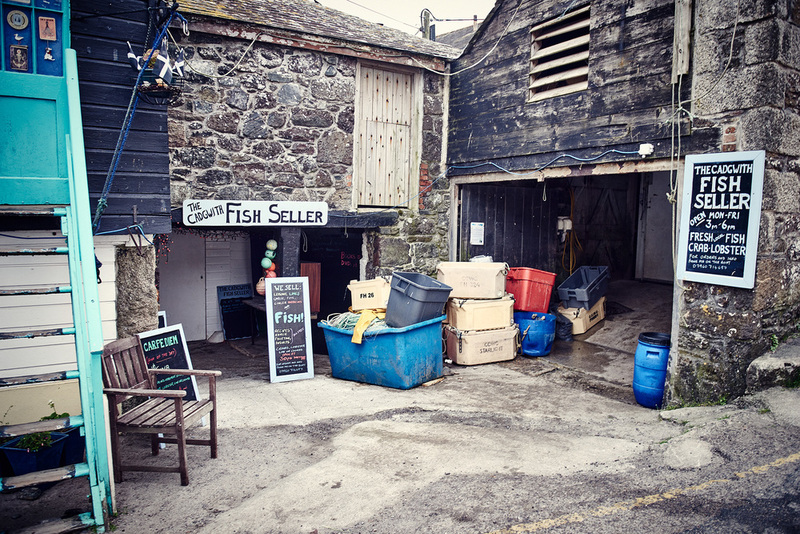 Martin is an 8th generation fisherman, born and bred in Cadgwith. Never married and with no children to carry his name, Martin has devoted his life to the sea. He was anxious to get back out to fish for crab and lobster. Normally working six days a week, Martin had spent the last three days stuck making repairs to his home. He needed a good catch that day. After loading the Bob Winnie with freshly baited traps, Martin jumped into the tractor and pushed her into the water. Before the rocky beach swallowed the tractor up, he quickly reversed out and parked it. He then made his way to the water wading in and deftly hopped aboard to start the engines. I waved as he sailed into the distance slowly becoming a speck on the horizon.